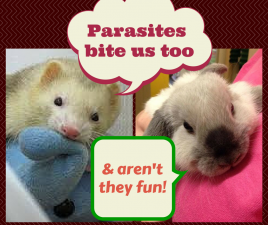 Are you confused by the all the options to prevent heartworm, fleas and other parasites in your ferret? 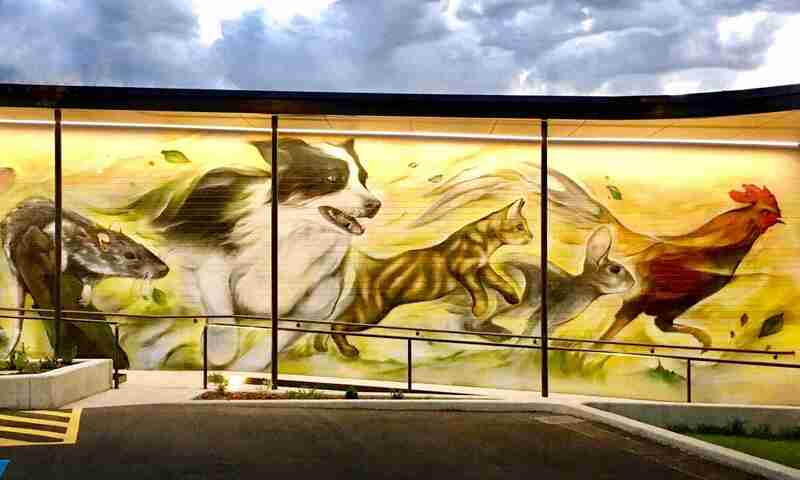 Here is our guide to the best options available; you should find all the common, safe and respected treatments found in your vet or pet supplies store. If it isn’t here, please ask! The chart below gives an overview of each product; protection against the parasites in RED is considered necessary in all ferrets; fleas can cause fatal anaemia very quickly and ear mites are very common. 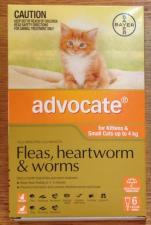 We also recommend including heartworm prevention; the risk may be low but the consequences are severe if caught. Prices are available on request. Warning: Never use products any other products made for dogs or cats without veterinary advice. If treating multiple animals, keep them separated until the product disappears to avoid the treatment being licked. Advocate should not be used in ferrets less than 0.8kg body weight, which is close to adult size for a female. Use the Advocate for Kittens and Small Cats. Animals can be bathed after 48 hours, but if bathing is done frequently, some loss of effect of flea control may occur. The solvent may damage clothing and painted surfaces so take care after applying it, and avoid placing it where the animal can lick. It is not clear at what age Advantage can be used; caution is advised as safety data on overdosage is not available. We would advise only treating ferrets 0.8kg or heavier, using the dark green Small Dogs and Puppies tube. The solvent may damage clothing and painted surfaces so take care after applying it, and avoid placing it where the animal can lick. Revolution Puppy & Kitten has been used extensively in the past to prevent heartworm, fleas and ear mites in ferrets. With the development of registered claims by Advocate for use in ferrets it is no longer recommended.